Hoses are the unsung heroes of the cruising vessel, conveying everything from seawater and fuel to effluent and exhaust gasses, they serve stolidly for years and sometimes decades, providing the vessel and its crew with the necessities of life while maintaining seaworthiness. Not all hose is created equal, and just because it’s working doesn’t mean it’s right or reliable. 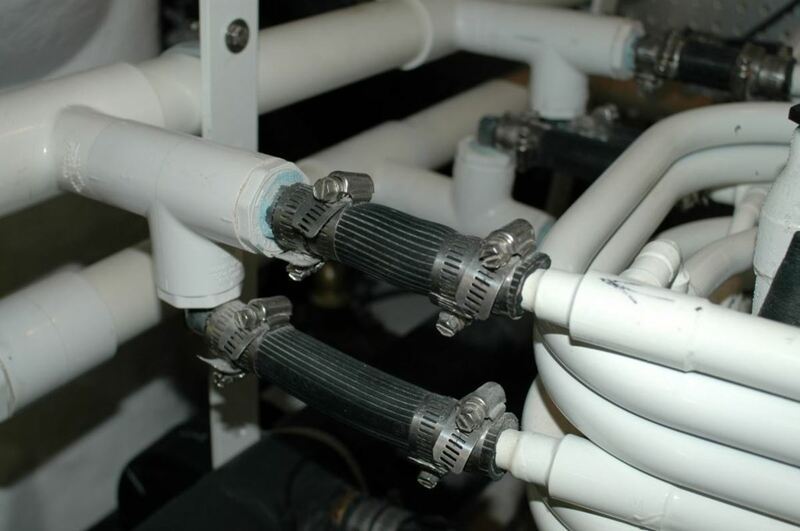 The hose used here, for an air conditioning raw water system, is actually designed for compressed air, calling into question its reliability in this application. Among the most important hoses are those that carry raw or seawater. Whether it’s water to cool the engine or flush the head, keeping it out of the boat or inside the hose is clearly job number one. Making sure this happens requires three things, selecting the right hose, installing it properly and then inspecting and replacing it when necessary. When it comes to raw water (raw water is simply whatever water the boat floats in, be it salt or fresh), the hose must be specifically designed for this demanding application. Whichever hose is used, it’s important that it be specifically designed for the application; its manufacturer must designate it as “suitable for below the waterline or raw water use.” If the hose carries no identifying jacket labeling and/or if there’s no use designation or language to this effect in the hose’s description, it’s simply a mystery and therefore not suitable. While many hoses will fit and work for a time, few are up to the rigors of raw water application. In general, avoid using clear hoses, even if it’s reinforced, PVC or automotive heater hose. 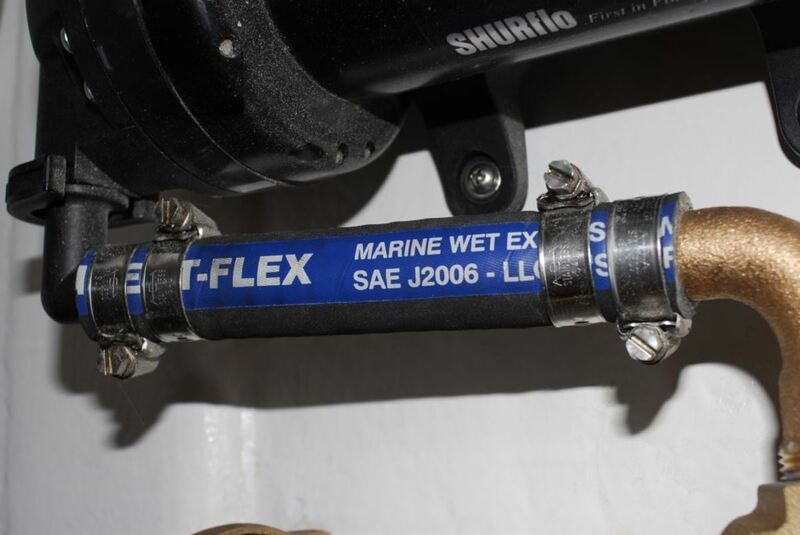 Hose that carries the SEA J2006R rating is ideally suited for all raw water as well as wet exhaust applications, and only hose that carries this designation should be used for the latter. The gold standard for raw water hose is that which carries the SAE J2006R designation. SAE2006JR identifies hosing as suitable for wet exhaust systems, and this is the only hose that should be used in that application. Because of this type of hose’s extreme robustness, it may and often is used for raw water applications throughout many cruising vessels. It’s extremely durable, chafe and collapse resistant, and is able to endure the heat of a momentarily un-cooled exhaust system; a scenario that can occur should an engine or generator lose its supply of cooling water. For suction or intake applications such as engines and gensets go with the wire reinforced variety. Hose used for potable water, while not critical in the respect that it’s failure may lead to the loss of the vessel, if it’s not chosen and installed properly could lead to the loss of the vessel’s potable water supply, or illness or incapacitation for the crew. In simple terms, hose or tubing used for potable water applications must be designated for this application. Typically this means it will carry the designation NSF 61, which represents the National Sanitation Foundation’s guideline for potable water products. 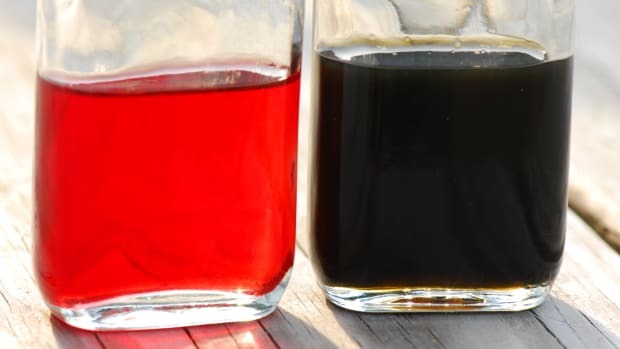 Older hose products may be marked as FDA approved, or simply “potable water.” If it’s so marked, you can be confident it will not contaminate drinking water. 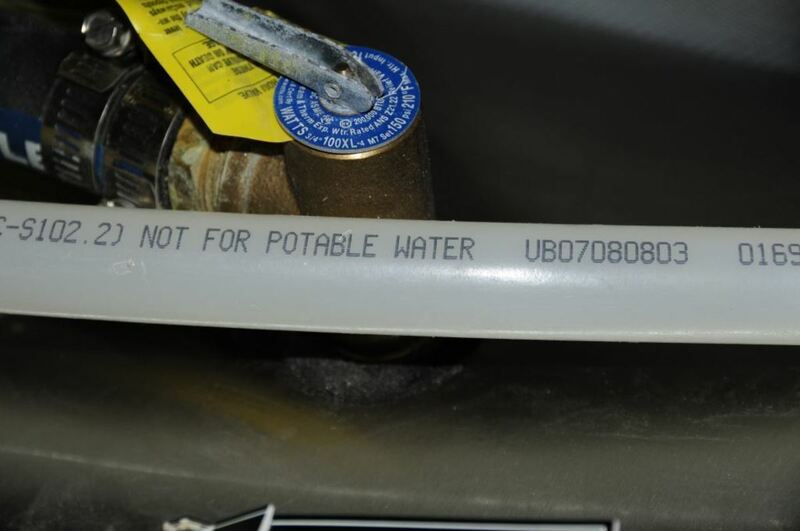 Be careful, some hose is actually marked “not for potable water,” so make sure you can read the entire label. Any other hose or flexible tube that lacks these ratings must be considered suspect and should not be used for potable water applications. 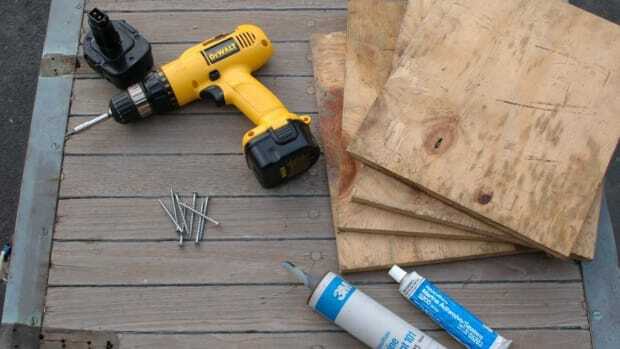 Use caution when installing or working on potable water hose, keep open ends covered with masking tape until the system is fully assembled to prevent the ingress of contaminants. All hose and tube used for potable water systems should carry a clear rating for this application. Beware, however, some polyethylene tubing that would otherwise be suitable for potable water is specifically marked as unsuitable for this application. Fuel hoses, also play an important role aboard your vessel. Hose used for diesel supply and return applications must carry an A1 rating, while fill and vent installations call for hose designated as A2 (A1 is acceptable for fill and vent hose, however, A2 hose should not be used for anything other than fill or vent applications as it’s not designed to be continuously filled with fuel). 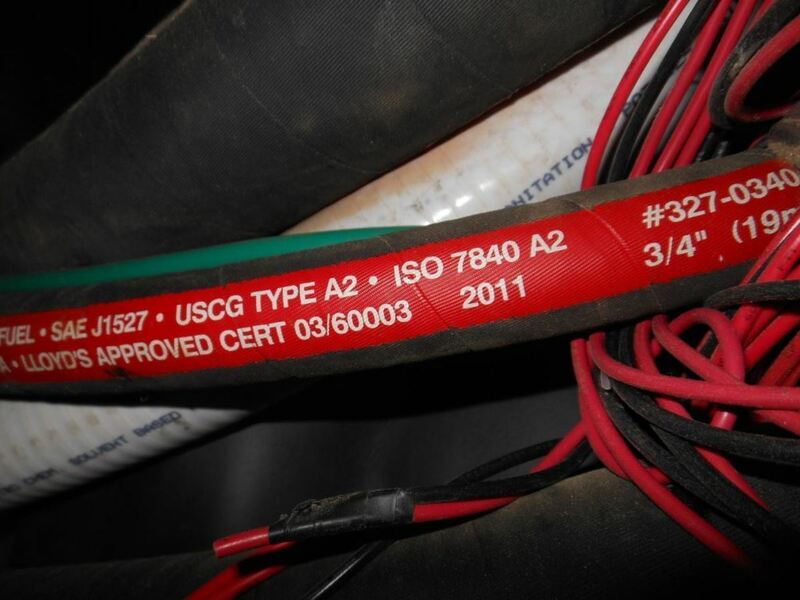 Additionally, fuel hoses must be legibly labeled with the manufacturer’s name and the date of manufacture in block capital letters every 12 inches. The golden rule, once again, is if the hose is not marked there’s no way to be certain that it’s suitable for the application. Fuel hose falls into two categories, A1 for supply, return and transfer use and A2 for fill and vent. They are not interchangeable. A note on fuel hose termination; hoses may be terminated using permanent swaged or sleeved insert fittings, both of which are durable and long lasting. They may be, and frequently are, terminated using ordinary pipe to hose barb adapters and hose clamps, however, there’s no requirement for double clamping fuel supply or vent lines. 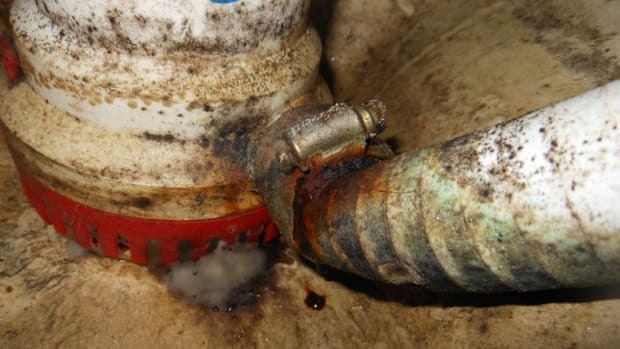 I’ve encountered countless installations where two clamps have been used where only one is capable of properly bearing on the barb beneath, a practice that nearly always leads to hose damage. There are only a few places where double clamps are specifically called for by ABYC guidelines, these include fuel fill and exhaust hoses. Although desirable, in all other applications double clamps are, provided they bear properly on the pipe to hose adapter, optional.